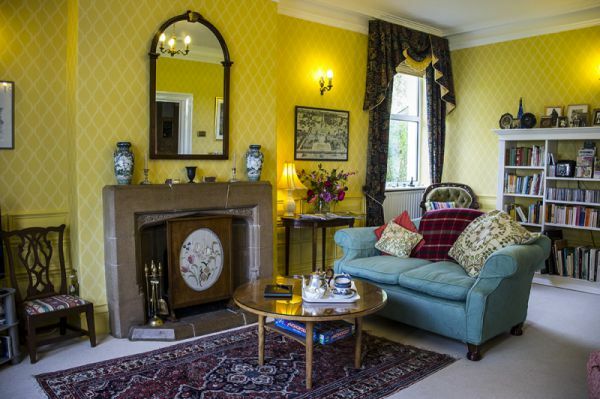 Earlier this year we met up with Jill and Rupert Richardson from Dowfold House, who have been running their luxury bed and breakfast for almost 12 years. After a decision to relocate further north and leave the hustle and bustle of London life, they’ve never looked back after settling into the quiet but historic town of Crook in County Durham. 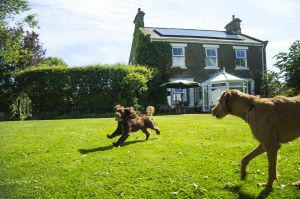 Here’s what they had to say about the ins and outs of running a B&B, why they love being dog friendly and their top tips for those thinking of starting up a B&B. Jill: 13 years ago, we decided it was time to escape life in the South-East, where everything felt very crowded and busy. I had never, ever lived anywhere other than the London area, and I felt I really needed to experience life outside of London. Rupert, however, has lived all over the place. After leaving our jobs down south, we decided we might try and run a B&B! Both we and our families are very hospitable people, from hosting my family visitors including Australian relatives, to Rupert working in a hotel kitchen, to Rupert’s mother having run a B&B - with help from Rupert himself. We began to stay in B&Bs and explored the areas that we would potentially like to relocate to. We decided to go against the grain and move up north instead of the South-West, where most tend to go. We decided to pick somewhere in between Edinburgh and York, and, as the crow flies, we are just about spot on in the middle – just 9 miles from Durham! 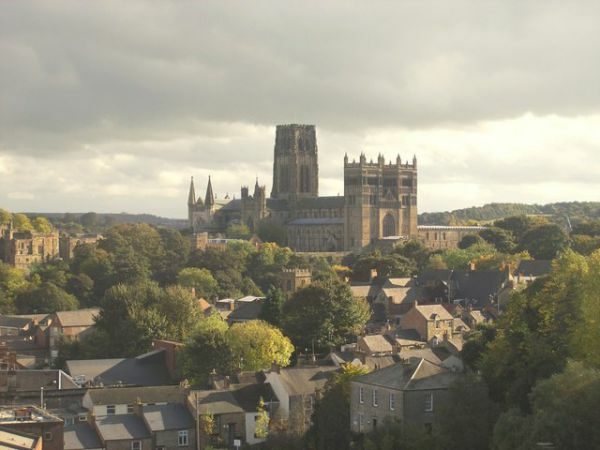 We’d already got to know the Durham area quite well with our daughter attending Durham University, while I, my father being a Scot, had travelled through Durham often when I was younger. Rupert: After staying at various B&Bs, in February 2006 we came across this quaint Bed and Breakfast in Crook and really liked it. 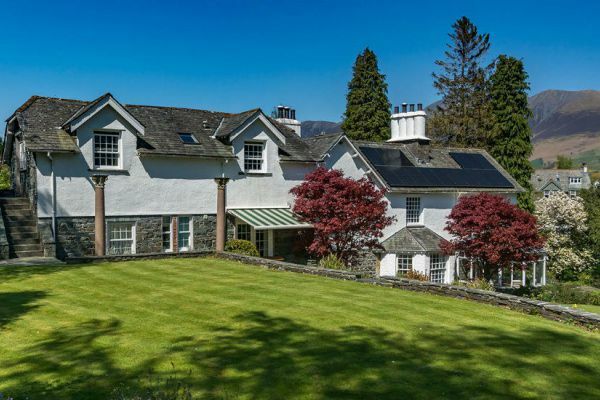 We approached the B&B owner enquiring if she would ever be selling it… As fate would have it she was one week away from popping to the estate agents to put it on the market! We were moved in by the July, with our first guests staying 3 days after we moved in. You definitely hit the ground running, what type of personality would you say it takes to run a successful bed and breakfast? Rupert: Well you’ve got to really like people and enjoy talking to them. During our time staying in a lot of B&Bs, with some hosts it was as if they didn’t enjoy even having guests, and they’re just in the wrong business. Given that Dowfold House was a B&B from the get-go almost as soon as we’d moved in, sharing our home with guests didn’t feel so much of a problem, though it is slightly different now we’re much more settled. Providing a good bed and breakfast can be the easy, mechanical part of running a B&B, but really talking to your guests, getting to know them and ensuring they have a good time is very rewarding, and we enjoy doing that. Jill: It’s hard to judge your own personality really. Initially I think you need to be friendly, but also somewhat of an actor! Sometimes you don’t feel like talking first thing in the morning, but you put on a grin and some make up, and greet your guests with a cheery smile. You also need good sticking power, as running a B&B isn’t something you can pick up and drop when you feel like it. Is there such a thing as a typical working day? Jill: No… there are no two days the same, and I think that is one of the best things about running a B&B. There is a routine but it’s never set in stone and we’ve learnt we have to be flexible. 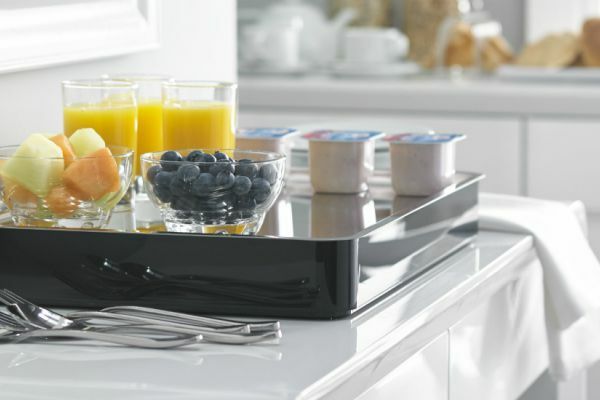 We try and cater to our guests, and we do always ask our guests when they’ll be wanting their breakfast as we have been embarrassed once before, with guests coming down for breakfast very early whilst we were still in bed! There’s also always a chance of getting a last minute booking, and we like to make sure we have all the extra little touches, such as complimentary water, flowers and biscuits in the rooms – freshly prepared if we can – not to mention keeping the rooms constantly clean – there’s always something to do. What are your opinions on online booking agencies? Jill: …however some of the guests coming from the agency bookings are not always as aware of the difference between a B&B, a guest house and a hotel, or that this is our home. But as we say they have brought us a huge amount of business, though we do try and encourage repeat bookings to book directly with us the second time around, and offer a discount for them doing so. Who would you say are your main, core customers? Are you happy for children to stay? Jill: We are more than happy to accommodate families and can pop a third bed or travel cot in the room if needs be. And the children we have had staying before have been absolutely delightful and beautifully behaved. Rupert: However, predominantly our main bookings are from the older and, frankly, the better off. But we do have a fair smattering of what we call ‘locals’. This area has seen quite a lot of depopulation since the 60s, and we find that people tend to come back to see those that stayed behind, sometimes to see family and unfortunately, on occasion, for a funeral. Dowfold House itself also used to be the Mine Manager’s house, so we’ve had a few people who used to work in the mines staying here. They used to get paid at what is now our back gate. That is always good fun. Jill: We also get a fair few parents of students attending Durham University as guests. We’re only about 9 miles outside of Durham, so those who want to be in quieter accommodation or those who can’t find any in central Durham, look further afield and often find us. June tends to be the peak month for bookings from these guests, due to graduation and open-days during that time. How did you first hear about Out of Eden? Jill: We were first introduced to Out of Eden by the lady from whom we bought this house, who also ran a B&B here. She was a customer of yours and used to club together on orders with other B&Bs in our area to share delivery. You certainly came highly recommended, and we’ve used your services ever since. Is there anything you can think of that you wish Out of Eden supplied? Jill: Yes… a recyclable kitchen towel/roll would be great. 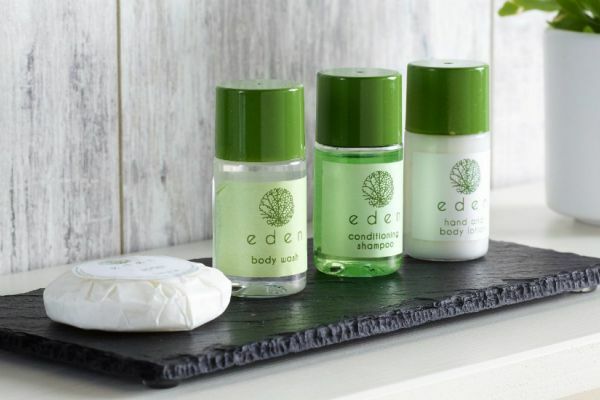 What I really love about Out of Eden is your selection of green, eco-friendly and British-made products. Watch this space…! Aside from exposure on booking agencies, how else do you market your property? I noticed you’re on a few social media sites, is that important to you? Rupert: I don’t think our social media is nearly as big as it should be and, admittedly, I’m quite bad at it! We know some people who receive the majority of their bookings through social media, so it is something I would like to keep working on. But it can become a full-time job in itself, so it’s all about balance. We are also with Wolsey Lodges, a member-owned association of luxury B&Bs, and we do very well out of that. Our local Destination Marketing Organisation (DMO), thisisdurham, generate a good number of hits on our website, many of which convert to bookings. What are your top tips for a new starter? Jill: Don’t be afraid of hard, physical labour. Running a B&B also means constantly running up and down the stairs 20/30 times a day, changing beds, hoovering, etc. And we are both fitter today than we have ever been. It’s definitely a good way to keep fit! And remember to always act calm, cool and collected. You’ve got to be prepared to smile at any time of day… or night. We have had a few fire alarms go off, and of course it only goes off in the middle of the night and of course it only ever happens when we have a full house of guests. Sod’s law! We noticed you are dog friendly at your B&B, any funny stories? Rupert: Well, we did have three ladies with 15 dogs staying with us on one memorable night, needless to say it was all a bit much. The dogs were great… The ladies were less so! (Joking, of course)… So now we only allow up to 2 dogs per bedroom. Understandable… There’s dog friendly and then there’s becoming a kennel! 2 dogs per room is still very generous though, would you say many guests bring their dogs with them? Rupert: Yes, actually, as we’re the only B&B for miles that are dog friendly. And it breaks my heart when we have to say sorry we’re full. We do find that dogs seem to bring a very good class of people with them, as they’re often very grateful, and so they are always welcome at our B&B. Strange breakfast requests, if any? Jill: Recently we had someone request horseradish to go with their full English, luckily we could oblige! We do get the odd request for continental, vegan or gluten free breakfast alternatives. 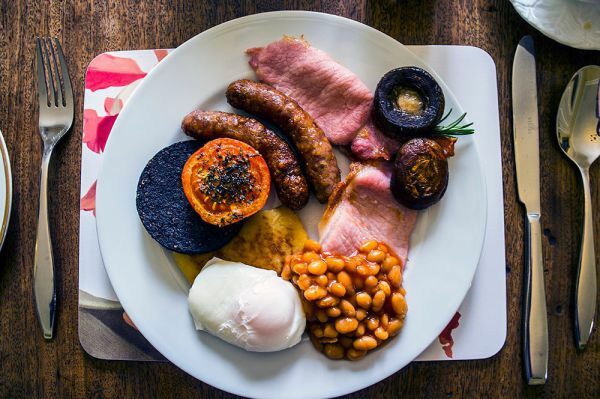 A traditional full English breakfast tends to remain the most popular, but we are always happy to accommodate our guest’s dietary requests whatever they might be. For example if they’re gluten free we’ll provide fresh, homemade bread or gluten-free pancakes that suit their needs. Our records tell us you’ve been buying from Out of Eden since 2007, over a decade now, so what is it that keeps you coming back and using Out of Eden as opposed to other hospitality suppliers? Jill: A number of reasons… You’re local – we do have quite a strong local ethos, you deliver next day, your products are affordable and you stock so many items that I need. 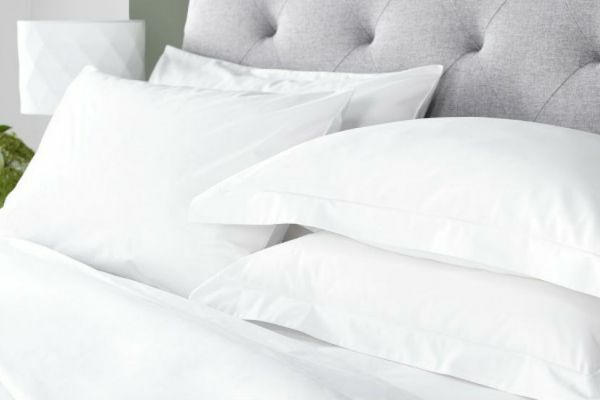 I don’t tend to buy as much bedding and towels from you as the ones I originally bought have lasted and retained their quality! But the day-to-day products, washing-up liquids, teabags, loo rolls, etc. are easy to replenish with you. Your catalogue is very attractive, and the telephone is always answered promptly, courteously and pleasantly. 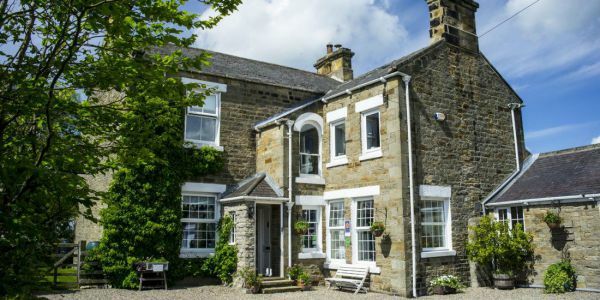 Jill & Rupert Richardson have been running their B&B, based in the heart of County Durham, for almost 12 years.